Intensely nourishing and ideal for dry and damaged hair, Moroccanoil Treatment is an ultra-light oil that is instantly absorbed by the hair to improve manageability, control frizz, detangle and increase elasticity, whilst giving locks a natural, silky finish with a brilliant shine. Moroccanoil is formulated with the signature ingredient, Argan Oil. This powerful antioxidant and UV protector is rich in vitamins that help to naturally strengthen and renew the cell structure of the hair, increasing elasticity and consistently restoring shine to dull, lifeless hair. For Colour & Chemical Treatment: Before applying colour, highlights, straightening or relaxer chemical treatments, prepare hair by applying approximately 5ml directly onto hair and gently massage. Do not rinse the hair before applying colour/treatment chemicals. Add 4-7ml to the colour mix to increase hairs absorption rate and to enhance shine and depth of colour. Mix a few drops of Moroccanoil Treatment with Moroccanoil Intense Hydrating Mask, Hydrating Mask Light or Restorative Hair Mask for added nourishment. I have fine hair so I was worried it would be too oily for my hair, however since I have started using it from day 1 I can already see a huge difference. My hair doesn't get oily as fast, it is very shiny, and the best thing is I don't have to use conditioner. I apply a very small amount of oil on my damp hair after a shower and it is so easy to brush through it. It is very pricey though but you don't use a lot of oil and it does last a long time. It is definitely worth to try it! I often use hair oil after washing and drying my hair but had never tried Moroccanoil Treatment before - however I am very pleased with it, my hair looks and feels great and will certainly continue using it. I would give it five stars but only gave it four as I would prefer for the bottle to have a dropper to dispense the oil to take away the guesswork out of how much to use each time, as one or two drops would be a perfect amount to use each time. I love this product and couldn't live without it that's how good it is. leaves my hair smooth and manageable. Surely a must have on every girl's beauty shelf. Use sparingly and it'll last ages. It's transformed my fine, slightly dull & frizzy hair and I wouldn't be without it! People literally comment on how glossy & shiny my hair is. One male colleague described it as 'slinky' the other day! 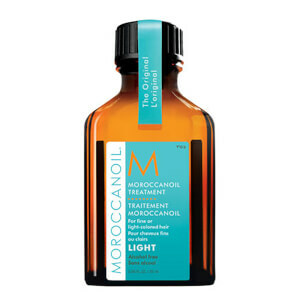 Moroccanoil The Original Oil Treatment is very good to use in winter for dry hair. The smell of it is so sweet that makes me feel like having it. Highly recommend. Moroccanoil The Original Oil Treatment 25ml is a must have product! An excellent product, you only need a tiny amount to make your hair feel great. It leaves hair looking healthy, feeling soft and smelling amazing! A little goes a long way. Could not live without it, I love it! Moroccanoil The Original Oil Treatment 25ml is fantastic for my dry hair. This is the best oil I have ever had. You can use it for wet or dry hair and my hair is very soft and hydrated. 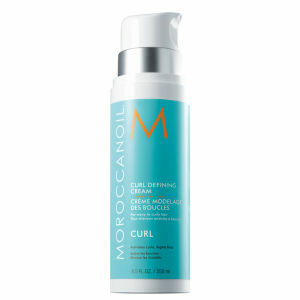 Have used Moroccanoil The Original Oil Treatment only a couple of times so not really sure if it made any difference. Perhaps after a longer use the condition of my hair will improve (fingers crossed). I have thick, unruly hair which is prone to dryness and frizzing. This product totally transforms that. It leaves hair looking healthy, feeling soft and smelling amazing! A little goes a long way so don't let the cost put you off as you definitely get value for money. Excellent product. Only need a tiny amount to make your hair feel great. Would definitely buy this again. I couldn't do without it. Leaves my hair feeling silky soft and very manageable.